As announced last week, the new Daily and Weekly Contracts are now available in Call of Duty: Black Ops 3. 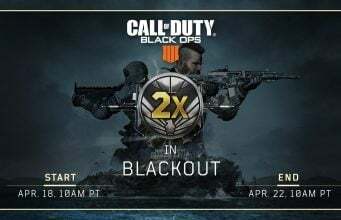 For Daily Contracts, these will reset every 24 hours, at 10AM PT each day. Daily Contracts give players special challenges to get extra Cryptokey in rewards. Weekly Contracts provide more ways to get additional Cryptokeys; these contracts will reset every Monday at 10AM PT. 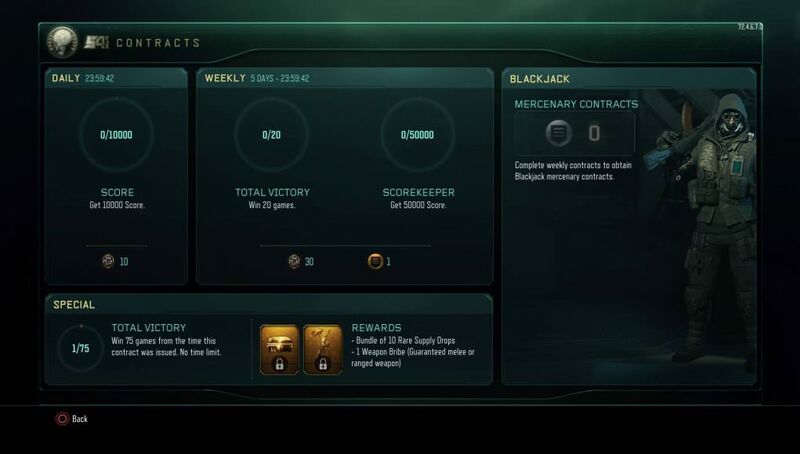 When you complete Weekly Contracts, you can get Mercenary Contracts, which allow you to use the Blackjack Specialist. Full details on Contracts and how Blackjack works is available in our post here.